Let Satterfield’s Jewelry Warehouse take care of the Honeymoon or just a Dream Get-Away! 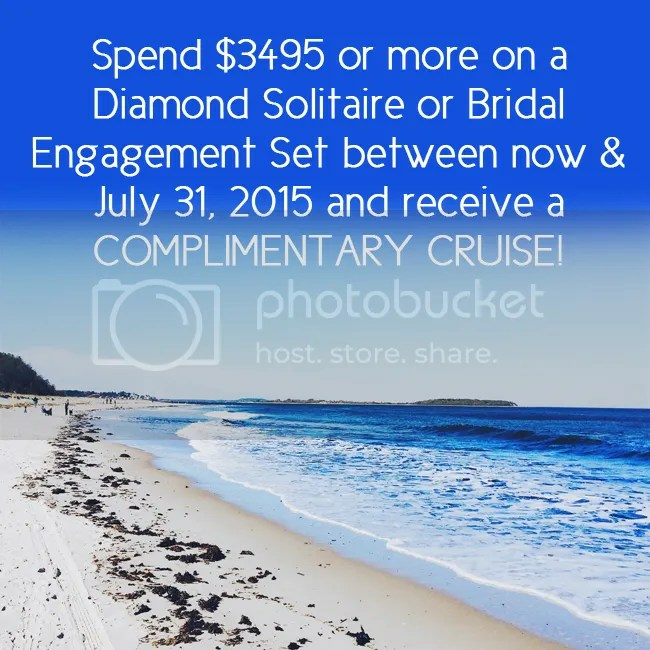 For a limited time, any Satterfield’s Solitaire or Engagement Set $3495 or more comes with a complimentary 3 night cruise on the prestigious Norwegian Cruise line. Enjoy accommodations for two, fine dining, nightly entertainment, casinos and tropical sunsets. For a limited time, Romance on the High Seas is FREE. Plus in-store financing to make your purchase easy! Satterfield’s Jewelry Warehouse …For Life’s every moment! This entry was posted in Jewelry, Jewelry Promotions and tagged bridal ring, engagement, engagement ring, free cruise, Jewelry, wedding ring. Bookmark the permalink.